Novel manufacturing processes have been created since then to support an unlimited of manlike demand. However the process aims to produce in term of quantity rather than qualitative creativity, and human makes those manufacturing processes redundant. These result in a regression in quality of product. Both idea and imagination become nothing. The more redundant manufacturing processes the more leftover materials, which opposes to a dramatically reduction of natural resource. And these leftover might be considerate as wreckage left from the past and worthless when the time gone. Creativity and imagination by several groups of people have been widely originated in order to deal with this, making a trend of “reduce” spreading through the society. 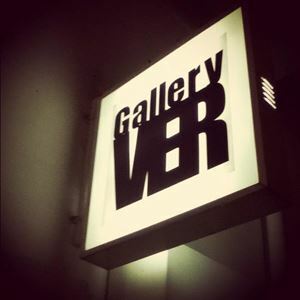 VER gallery in cooperation with Sense to society group realizes that every “outdated” or even “out-of-order ” material may be reused again after repaired. Those stuffs enable to be raw material for the artist and designers to create “the Quality second Hand Art” under concept of “the Re-creation”, which accompanied by an aesthetic and usefulness in daily life. "Nuts Society" (at the present) is anybody (a citizen of Planet Earth) who is concerned about the existence of the world and tries to act so that it evolves initiated in Bangkok, "Nuts Society" has been organising and exhibiting public art projects and activities since 1998. As a collaborative group (uninterested in self promotion of its members), the organisation is committed to produce significant art that play a role in the world's development and social consciousness. Preoccupied with wider social contexts, "Nuts Society" engages in a cross-disciplinary practice, adopting different means to communicate various messages in order to achieve one main goal - To inspire and heighten social conscience towards our ways of living.